This charming contemporary classic was made flesh in 2006 to designs by Van de Stadt; with her build overseen by her current, original owner, for whom superyacht build supervision is his business. 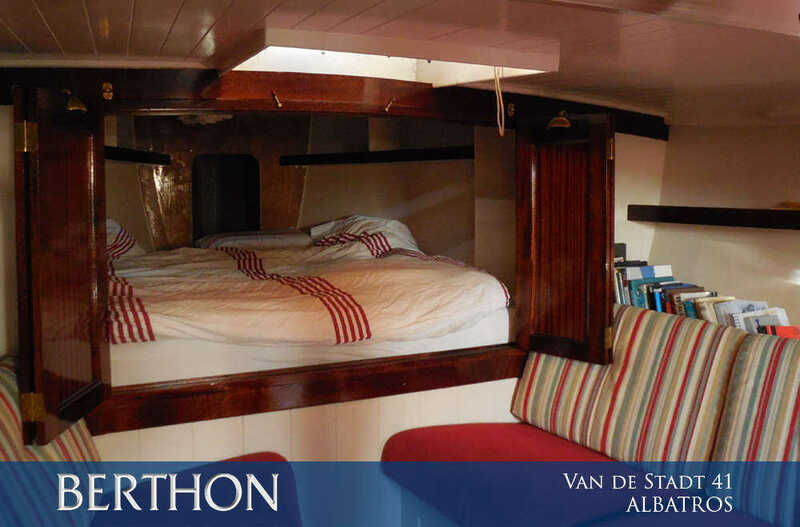 Van de Stadt 41, ALBATROS offers easy and rewarding sailing with an atmospheric and very comfortable interior – she even has a multi-fuel stove for dark evenings after sailing! She has been conceived and built as easy to maintain, despite her gleaming varnish and traditional spars. 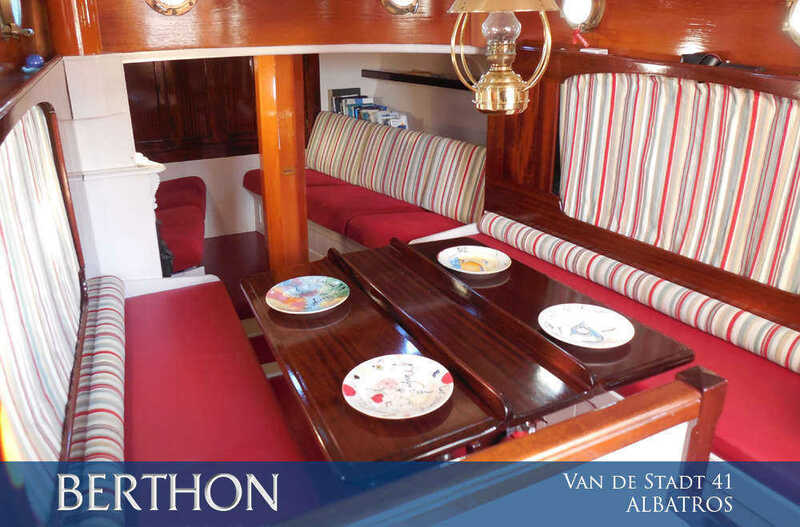 She has offered enormous pleasure to this owner and now it is time for her to find a new family to enjoy sailing and the sea in a truly unique way. She offers variable draft for creek crawling and getting into all those lovely anchorages inaccessible to many yachtsmen. These words were kept firmly in mind throughout the design and build process and the result is lovely. For further information contact sue.grant@berthon.co.uk.